It’s something we’ve heard over and over again. 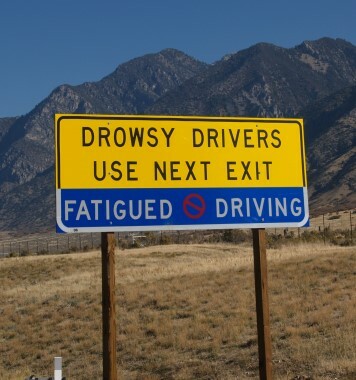 Drowsy drivers can be just as dangerous as drunken ones. The federal government is investing more resources into fighting the problem, and several automakers are including alert systems in their cars to detect drowsy drivers and try to convince them to pull over. A past project on Kickstarter is headed to production and sale that will help drivers of unequipped vehicles stay awake, and it works with a smartphone and Bluetooth. Vigo is the name of the product, and it is worn like a Bluetooth earpiece used in call centers, except instead of pointing at the mouth, the device needs a good look at your eyes and the motion of your head. The device is connected to a smartphone, and through the phone a user can interact with Vigo to set sensitivity and the types of alerts they desire, whether it’s a vibration, message, or flashing LED. While many news outlets are calling the device perfect for drowsy drivers, the creators also market it as a great way to help stay awake in classes or meetings, and to help employees set the optimal work pace for optimizing their most productive hours. The device can be ordered online, but it seems as if recent publicity has crashed the developers’ website. We’re not quite sure if a device to wake up a drowsy driver is really the best, considering that some drivers might abuse the tool to help push them to driving further than they should. Regardless of if your car or smartphone is equipped with a drowsy driving alert, if you’re tired find a place to pull over instead of endangering yourself and other drivers on the road.